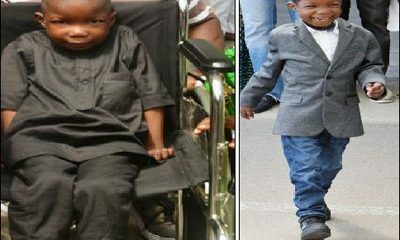 Chibok boy, Ali Ahmadu, paralysed three years ago, following a Boko Haram attack in his town, is now able to walk. 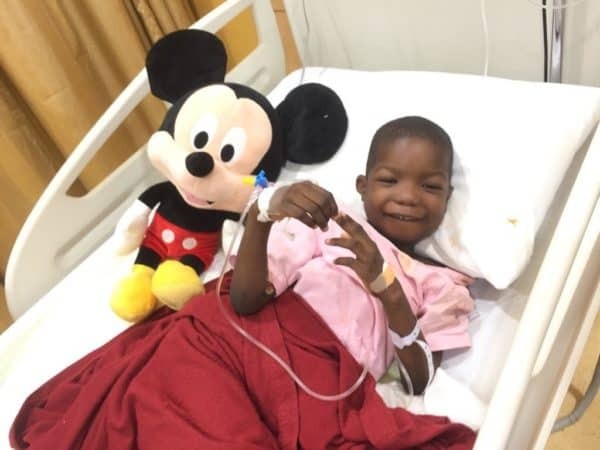 The Chairman of the Board of Trustees, Igho Sanomi and members of the Dickens Sanomi Foundation who sponsored this surgery, are currently with him in DUbai. Ali was described by the surgeons as, “a very strong boy who was determined to live”. Nuhu Kwajafa, The Founder of the Global Initiative for Peace, Love and Care (GIPLC), the organization that planned Ali’s surgery, expressed delight at the young boys recovery. “In young Ali we have a fighting spirit, a resolute and charming soul, beating all odds to survive and to walk again, this reflects so truly the Nigerian Spirit, we are indeed grateful to God”.